The Japanese are known to lead a healthy lifestyle and have a medium built body with no signs of a bulging tummy in both males and females. They don’t have weight issues and many live up to 100. Did you know that Japan has four times more people aged 100 or more than any other country? The Health Ministry based in Tokyo noted that an estimated 51,000 Japanese are still living. Japanese women enjoy the longest life in the world averaging at 87.0 years based on the most recent World Health Organization (WHO) study while the men has an average of 79.4 years life expectancy. The Guinness World Records listed Misao Okawa who lived up to 117 years as the world’s oldest person in 2013. Okawa died of heart failure just this April 2015 after celebrating her birthday. Obesity is not a major problem in Japan. This is because the people there eat their meals in small portions as the Japanese believe that one has to “eat until you’re only 80 percent full.” Their usual meal may involve different dishes but each is served in small portions only. So what really is their secret to maintaining a physically fit body that allow them to live long on earth. A paper published a few years back by Tokyo University professor Kenji Shibuya suggested three main reasons for Japanese longevity. First, the researcher noted the practice of hygiene by the people in Japan in all areas of their daily life. This means they follow the Shinto tradition of purifying their mind and body even in their interaction with people. The second reason is they make their health a top priority. As health conscious people, the Japanese go through regular check-ups. In schools, for instance, there’s mass screening done by local government authorities. Offices and communities also do the same. The third reason is their balanced nutrition which they enjoy from their diet particularly the seafood diet. The National Marine Fisheries Service in Japan revealed that seafood consumption in the country in 2013 alone was 55.7 kilograms per capita. 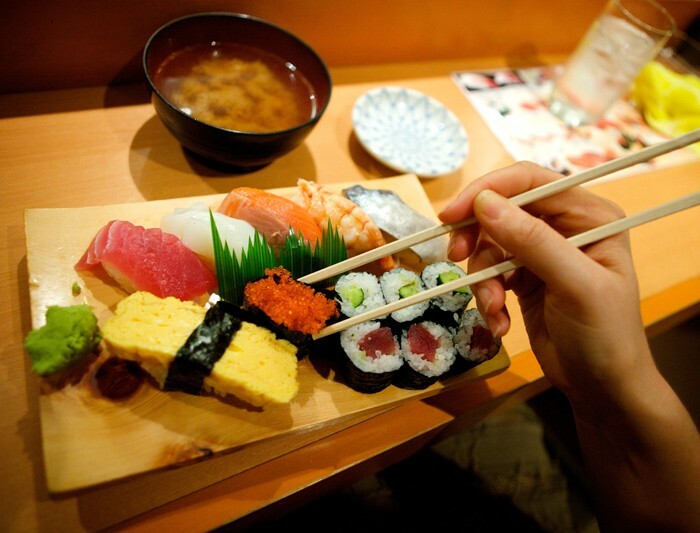 This makes the land of the rising sun as the top six among countries with the highest seafood consumption. In addition to seafood notably the fish, the Japanese also love to eat seaweed. The country consumes an estimated 100,000 tons of seaweed every year. Fish and seaweed are packed with vitamins and minerals that nourish the body and help fight diseases. Find out more ways on how to maintain a healthy lifestyle on F3Y. Finally, Japan’s green environment also helps in promoting good health among its citizens. It boasts of rainforests, hot springs and public baths that help in healing the mind and body. The baths are known to have mineral-laden water which can treat various ailments including rheumatism, skin disorders and neuralgia.